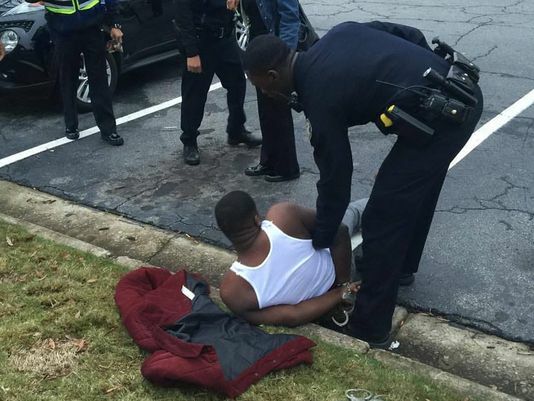 He said when he came out of the bank, a police officer pointed at him. 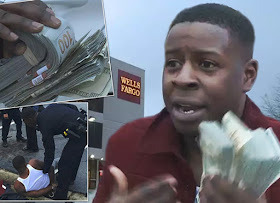 “They come bum rushing me at the car, put me on the ground, putting guns to my head, so I’m like ‘What I’d do,’ “A lady was like I’m not supposed to have…$200,000 on me. I’m like, ‘I’m a millionaire. How can I not have $200,000 on me?’” The guy's interview about the incident is the best part of this story.